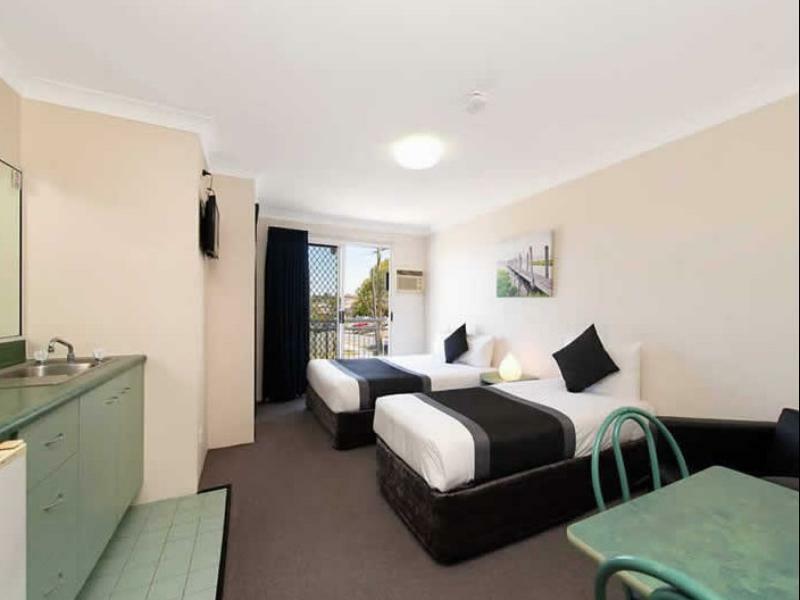 سواءً كنت مسافراً بغرض السياحة أو العمل, Chermside Court Motel هو خيار عظيم للإقامة خلال زيارتك بريسبان. يمكن من هنا للضيوف الاستمتاع بسهولة الوصول إلى كل ما تقدمه هذه المدينة النابضة بالحياة. إن سهولة الوصول من الفندق إلى المعالم السياحية الشهيرة الكثيرة في المدينة كمثل The Prince Charles Hospital, Westfield Chermside Shopping Center, Chermside Medical Centre هو استثنائي بحد ذاته. 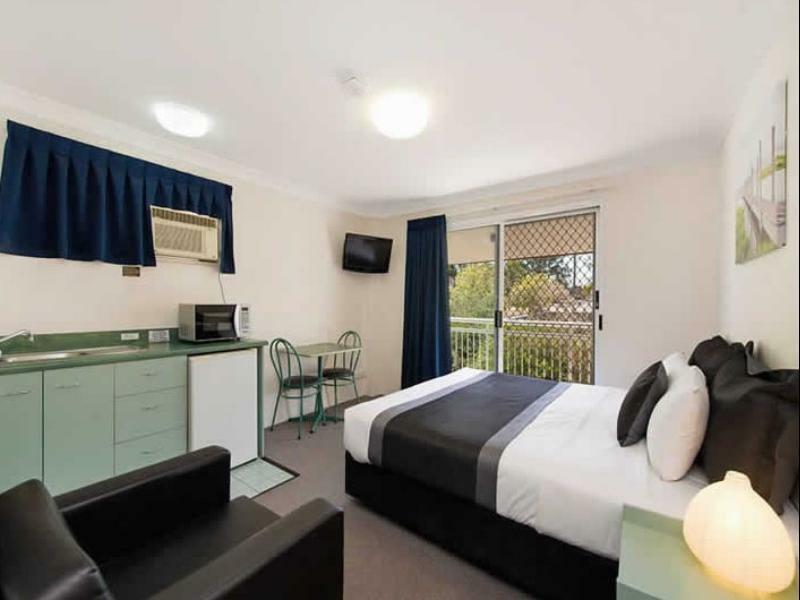 كما يقدم Chermside Court Motel الكثير من الخدمات لإغناء رحلتك في بريسبان. يمكن للنزلاء الاستمتاع بالميزات التالية: واي فاي مجاني في جميع الغرف, مرافق مخصصة لذوي الاحتياجات الخاصة, تسجيل وصول/خروج سريع, تخزين الأمتعة, واي فاي في المناطق العامة أثناء إقامتهم في هذا المكان الرائع. تعكس غرف الفندق البالغ عددها 16 المنتشرة في 2 طوابق جواً من الدفء والألفة.خدمات عصرية مثل تلفزيون بشاشة مسطحة, اتصال لاسلكي بالإنترنت, اتصال لاسلكي بشبكة الإنترنت (مجاني), غرف لغير المدخنين, مكيف هواء موجودة في بعض الغرف المختارة. يمكنك طلب اللائحة الكاملة للخدمات في الفندق ومن بينها حديقة. إن Chermside Court Motel هو خيار ذكي بالنسبة للمسافرين إلى بريسبان، بما يوفره من إقامة هادئة ومرحة. Just the bathroom and parking was terrible. Rachel on the desk was nice though. Stayed here re hospital treatment. The management went out of their way to assist our special requests. I was disappointed with having to use stairs to our room. ( both wife and self mid eighties) only 6 car parks on Motel property. miss out then park in street, which was and is bumper to bumper already. Great location. Facilities are ok. Room needs to be more thoroughly cleaned. We had someone else’s hair in the shower. It was at eye height. Don't do this, and don't do that, signs stuck all over the room, all the rules...we were given a terrible room downstairs, others were empty. View to a washing line, no soap etc... Minimal tea, coffee etc...told if there's no room park across the road. Wouldn't recommend or go back. Not worth the money, pay the extra $20 and go elsewhere. Value for money - was probably excellent also. 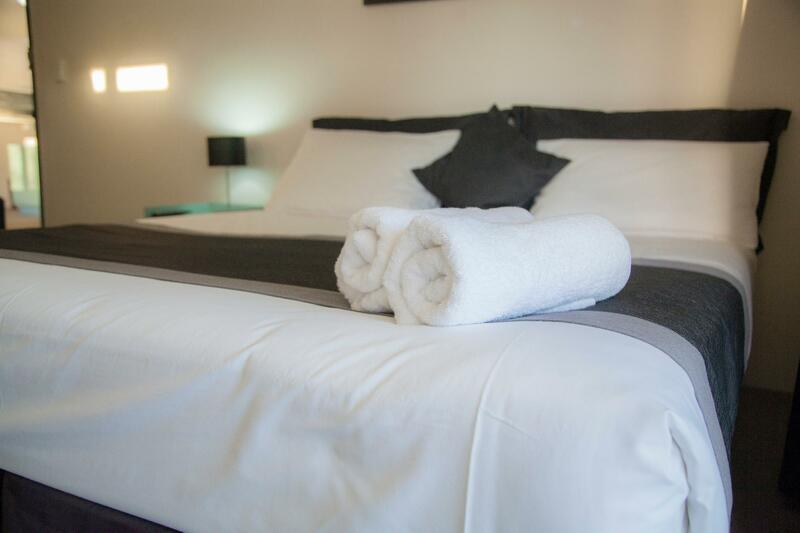 We were very comfortable and will not hesitate to book again when we need a bed in Brisbane in that area. The motel was well presented. It was lovely and cottage like on style. Rooms were well presented and clean. The motel was is in walking distance to Westfield shopping center. I just needed economical accommodation for one night. At about $100 the Chermside Court fitted the bill. 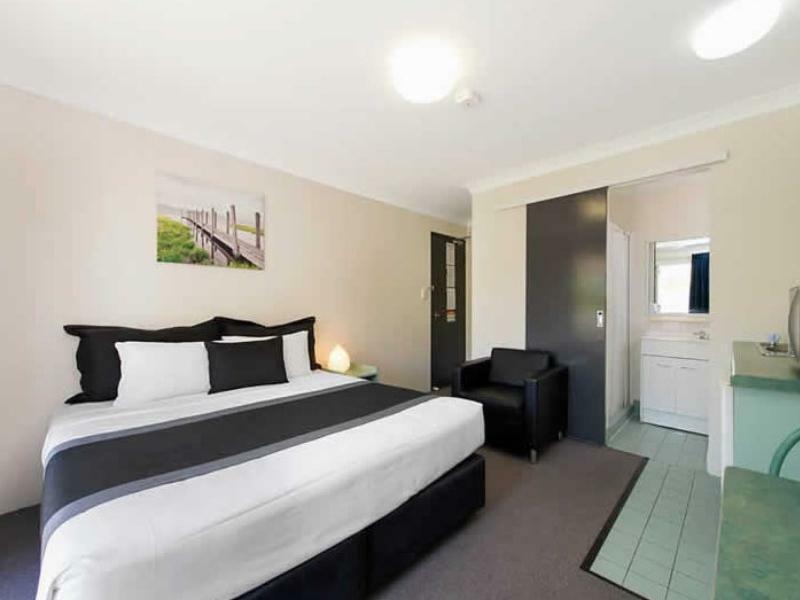 It is handily located not far from the Chermside bus terminal and shopping centre. I drove my car and it was easy to find. There are only six parking spots and all were occupied so I had to park on the street outside. The room I had, Room 11, was spacious and well equipped with all the usual things found in a motel room. Main thing for me was a comfortable bed and a TV to get the news before I went to sleep. Also made myself a cup of coffee supplied by motel. All in all a good place for a brief stop over in Brisbane. Parking is lacking, if you don't get in early you have to park on the street which there isn't much of that. We had a king room bed lovely but tight for space, liquid soap was supplied but no face washers to use in the showers to apply the soap, Staff were lovely and helpful. Stayed here in desperation to be near Prince Charles Hospital, thank goodness only for one night. The place needs to be updated... old and tiny bathroom in room 17, narrow stairs up to the rooms on the first floor. Signs everywhere saying this and that are "against the law". Hotel description states there is a smoking area, ... this is on the footpath outside of the hotel. An elderly or disabled person would have difficulty undertaking the walk to Prince Charles Hospital from the motel. Took about 15 minutes at an athletes pace ! Check out the apartments at 541 Robe Rd, which are much closer to the hospitals, and where I spent the previous 7 nights. For just a little extra I got a 1 bedroom balcony apartment and the place and staff were lovely. Sadly they were booked out for the extra night I needed.